The Bonnaroo Music and Arts Festival has set the internet abuzz following the announcement of their lineup for 2015. The yearly summer event, boasting a lineup of the snazziest and jazziest, has a lineup packed with artists from all over the world. You’ve likely already heard of headliners Billy Joel, Mumford & Sons, Kendrick Lamar, Slayer, Florence and The Machine, and Deadmau5, but delving deeper into the list reveals some hidden jewels. Below are just ten artists to look out for at Bonnaroo and beyond. Give them a listen and tell us what you think! Our appreciation for blues rock has just reached another level. Gary Clark Jr. is a master of his craft who earned a Grammy Award for Best Traditional R&B Performance for “Please Come Home” in 2014. Alongside being a poetic, musical, soothing but sharp explosion of wit and charm, Courtney Barnett is an Australian singer/songwriter who creates acoustically-driven indie folk compositions. She earned her start as a guitarist in various bands before venturing out on her own. Catfish & The Bottlemen burst onto the festival scene in 2013. This four-piece British alternative rock band is already facing sold-out shows and avid fans. Recently, the band performed on the Late Show with David Letterman, on January 7. A mother and son singer-songwriter duo that’ll tempt you to build a time machine and move to the country. Hailing from Kansas City, the two caught the public’s eye and garnered critical acclaim after appearing at the Americana Music Festival in Nashville. Their funkadelic band name is enough to make us stop and listen. Inspired by both Elektra’s early Nuggets compilations and alternative rock of the 1990s, King Gizzard and The Lizard Wizard channels elements of the past into a modern amalgam of lo-fi rock and roll and guitar-driven psychedelia. A pop queen in the making, hurry up and hear her before everyone else does. With a sound that goes from catchy, uptempo tunes to more ballad-oriented slow jams, Jessica Hernandez and the Deltas churns out a distinctive brand of dark pop and neo soul. A popular live entity, Moon Taxi performs with a sound and stage presence that recalls some of the classic rock that came out of the 1970s. Float into a dream with with their music or give up your life to move to Morocco. Their latest album, Mountains Beaches Cities, is meant to evoke a message of exploration. Whoa, we just got hit by a truck carrying sick beats! Run the Jewels is a hip-hop duo formed in 2013 when rappers EI-P and Killer Mike joined forces to create an album full of raw and innovative sounds. Known for its beautiful and thought-provoking lyrics, Hurray For The Riff Raff brings something special to American folk. Front-woman Alynda Lee Segarra sings with a deep voice against gentle accompaniments from unique instruments like the banjo, accordion and cello. This eleventh entry means we lied in the title, but how can you blame us after this wonderful song by Belle & Sebastian makes your day? The indie pop band you may have already heard of are one of Scotland’s proudest musical exports. 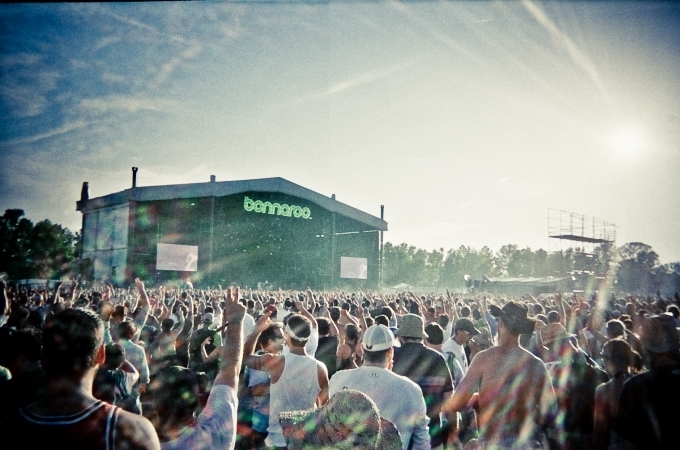 The Bonnaroo festival will take place this summer at the Bonnaroo Manchester Farm in Manchester, Tennessee, from June 11 to June 14. More information about the festival can be found on the official Bonnaroo website.